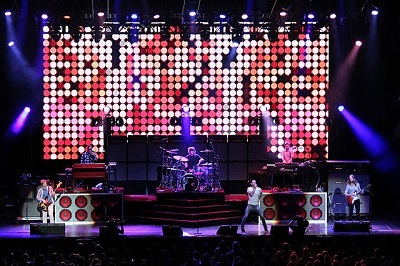 Get notified when Maroon 5 tickets are available! Led by Adam Levine, Maroon 5 is a pop band that has been writing and performing together since 1994. In 2002, their album Songs About Jane launched them into the spotlight with songs like “This Love” and “She Will Be Loved.” Their other big hits include “Moves Like Jagger,” “One More Night” and “Animals.” Maroon 5 has completed more than 8 world tours since they broke out onto the pop music scene, and they’re known for treating fans to amazing live performances. You can be in the audience for an upcoming show by finding your nearest venue on the list of tour dates above and purchasing your Maroon 5 tickets online.